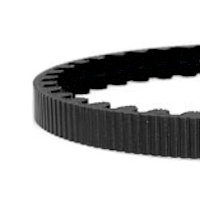 Technical specifications for the 111 Tooth CDC Belt Black are given below. Note that with minor alignment adjustments, a CDC Mudport Belt can be replaced by the equivalent CDX Centertrack Belt, although the reverse is not true. 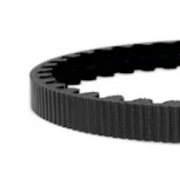 Gates Carbon Drive belts are made with stretch-free carbon fiber tensile cords. The advanced urethane technology allows the belt to be weather resistant, flexible, and durable. 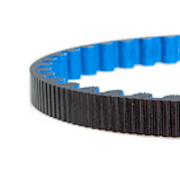 Although Gates engineers have developed high performance belt drives for thousands of industrial applications, Gates developed an entirely new belt to specifically meet performance requirements for the bicycle industry.